Distribution channels—which is “place” in the four Ps—cover all the activities needed to transfer the ownership of goods and move them from the point of production to the point of consumption. In this section you’ll learn more about distribution channels and some of the common strategies companies use to take advantage of them. As consumers, we take for granted that when we go to a supermarket the shelves will be filled with the products we want; when we are thirsty there will be a Coke machine or bar around the corner, and we count on being able to get online and find any product available for purchase and quick delivery. Of course, if we give it some thought, we realize that this magic is not a given and that hundreds of thousands of people plan, organize, and labor long hours to make this convenience available. It has not always been this way, and it is still not this way in many other parts of the world. Looking back over time, the channel structure in primitive culture was virtually nonexistent. The family or tribal group was almost entirely self-sufficient. The group was composed of individuals who were both communal producers and consumers of whatever goods and services could be made available. As economies evolved, people began to specialize in some aspect of economic activity. They engaged in farming, hunting, or fishing, or some other basic craft. Eventually this specialized skill produced excess products, which they exchanged or traded for needed goods that had been produced by others. This exchange process or barter marked the beginning of formal channels of distribution. These early channels involved a series of exchanges between two parties who were producers of one product and consumers of the other. With the growth of specialization, particularly industrial specialization, and with improvements in methods of transportation and communication, channels of distribution have become longer and more complex. Thus, corn grown in Illinois may be processed into corn chips in West Texas, which are then distributed throughout the United States. Or, turkeys raised in Virginia are sent to New York so that they can be shipped to supermarkets in Virginia. Channels do not always make sense. The channel mechanism also operates for service products. In the case of medical care, the channel mechanism may consist of a local physician, specialists, hospitals, ambulances, laboratories, insurance companies, physical therapists, home care professionals, and so on. All of these individuals are interdependent and could not operate successfully without the cooperation and capabilities of all the others. Based on this relationship, we define a channel of distribution, also called a marketing channel, as sets of interdependent organizations involved in the process of making a product or service available for use or consumption, as well as providing a payment mechanism for the provider. This definition implies several important characteristics of the channel. First, the channel consists of organizations, some under the control of the producer and some outside the producer’s control. Yet all must be recognized, selected, and integrated into an efficient channel arrangement. Second, the channel management process is continuous and requires continuous monitoring and reappraisal. The channel operates twenty-four hours a day and exists in an environment where change is the norm. Finally, channels should have certain distribution objectives guiding their activities. The structure and management of the marketing channel is thus, in part, a function of a firm’s distribution objective. It’s also a part of the marketing objectives, especially the need to make an acceptable profit. Channels usually represent the largest costs in marketing a product. 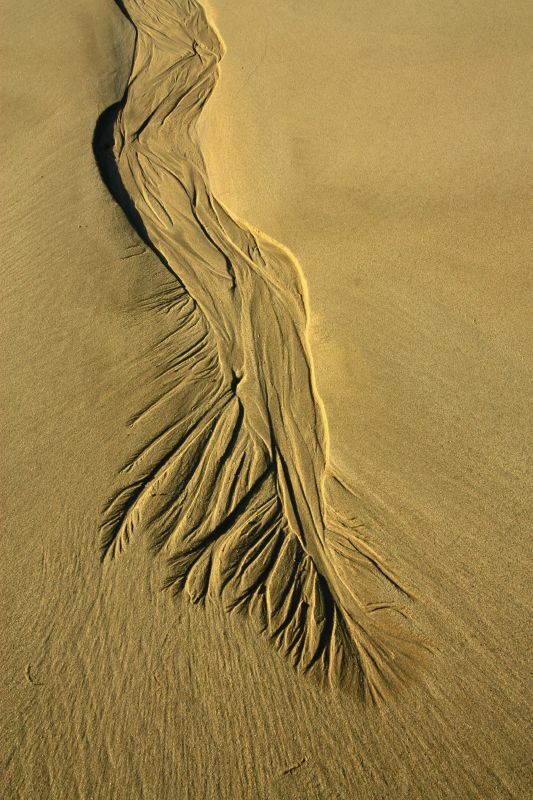 One traditional framework that has been used to express the channel mechanism is the concept of flow. These flows reflect the many linkages that tie channel members and other agencies together in the distribution of goods and services. 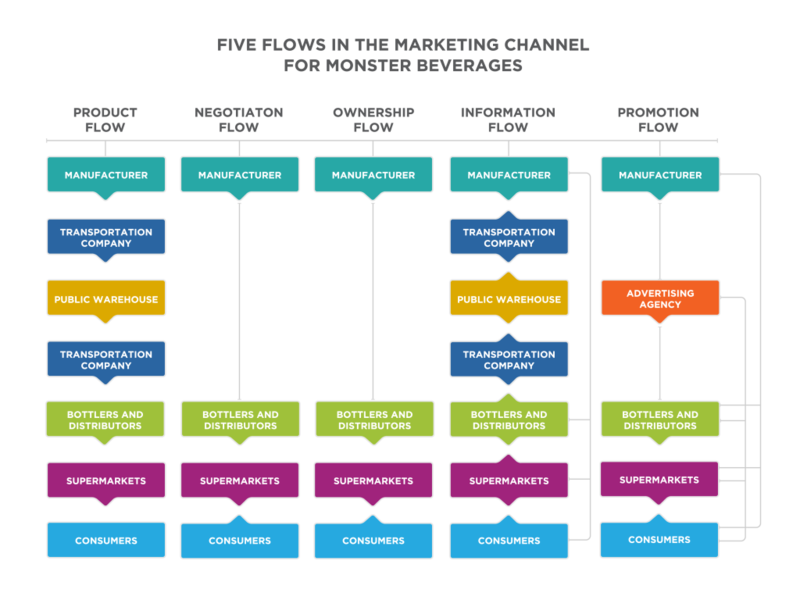 From the perspective of the channel manager, there are five important flows. The figure below maps the channel flows for the Monster Energy drink (and many other energy drink brands). Why is Monster’s relationship with Coca-Cola so valuable? Every single flow passes through bottlers and distributors in order to arrive in supermarkets where the product will be available to consumers. "While many view our Company as simply “Coca-Cola,” our system operates through multiple local channels. Our Company manufactures and sells concentrates, beverage bases and syrups to bottling operations, owns the brands and is responsible for consumer brand marketing initiatives. Our bottling partners manufacture, package, merchandise and distribute the final branded beverages to our customers and vending partners, who then sell our products to consumers. All bottling partners work closely with customers — grocery stores, restaurants, street vendors, convenience stores, movie theaters and amusement parks, among many others — to execute localized strategies developed in partnership with our Company. Customers then sell our products to consumers at a rate of more than 1.9 billion servings a day." Revisiting the channel flows we find that the bottlers and distributors play a role in each flow. Examples of the flows are listed below. Remember, while the consumer is the individual who eventually consumes the drink, the supermarkets, restaurants, and other outlets are Coca-Cola’s customers. While channels can be very complex, there is a common set of channel structures that can be identified in most transactions. Each channel structure includes different organizations. Generally, the organizations that collectively support the distribution channel are referred to as channel partners. The direct channel is the simplest channel. In this case, the producer sells directly to the consumer. The most straightforward examples are producers who sell in small quantities. 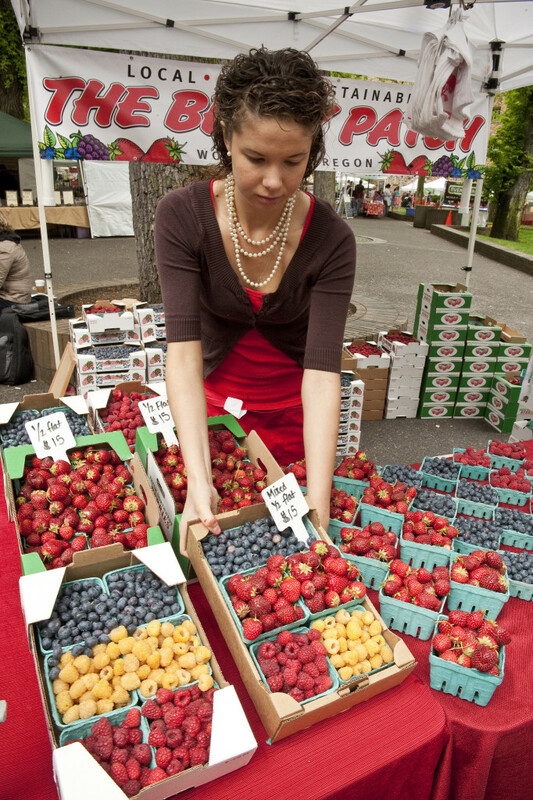 If you visit a farmer’s market, you can purchase goods directly from the farmer or craftsman. There are also examples of very large corporations who use the direct channel effectively, especially for B2B transactions. Services may also be sold through direct channels, and the same principle applies: an individual buys a service directly from the provider who delivers the service. Retailers are companies in the channel that focuses on selling directly to consumers. You are likely to participate in the retail channel almost every day. The retail channel is different from the direct channel in that the retailer doesn’t produce the product. The retailer markets and sells the goods on behalf of the producer. For consumers, retailers provide tremendous contact efficiency by creating one location where many products can be purchased. Retailers may sell products in a store, online, in a kiosk, or on your doorstep. The emphasis is not the specific location but on selling directly to the consumer. 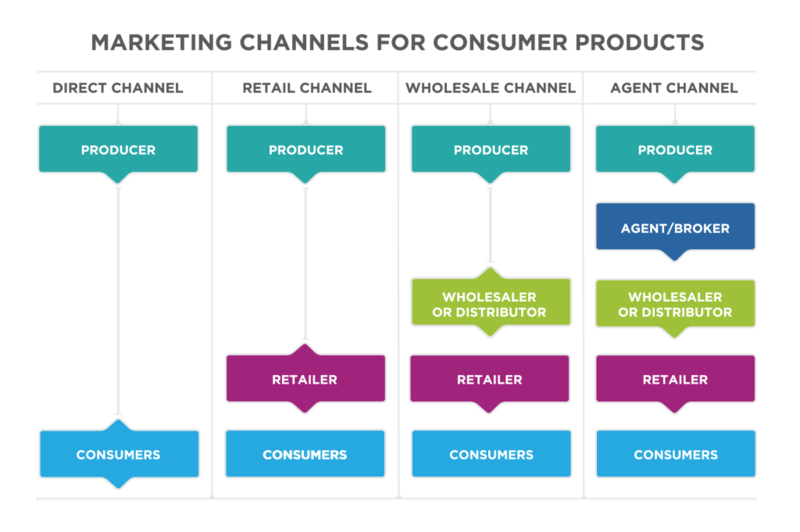 From a consumer’s perspective, the wholesale channel looks very similar to the retail channel, but it also involves a wholesaler. A wholesaler is primarily engaged in buying and usually storing and physically handling goods in large quantities, which are then resold (usually in smaller quantities) to retailers or to industrial or business users. The vast majority of goods produced in an advanced economy have wholesaling involved in their distribution. Wholesale channels also include manufacturers who operate sales offices to perform wholesale functions, and retailers who operate warehouses or otherwise engage in wholesale activities. The broker or agent channel includes one additional intermediary. Agents and brokers are different from wholesalers in that they do not take title to the merchandise. In other words, they do not own the merchandise because they neither buy nor sell. Instead, brokers bring buyers and sellers together and negotiate the terms of the transaction: agents represent either the buyer or seller, usually on a permanent basis; brokers bring parties together on a temporary basis. Think about a real-estate agent. They do not buy your home and sell it to someone else; they market and arrange the sale of the home. Agents and brokers match up buyers and sellers, or add expertise to create a more efficient channel. It’s important to note that the larger and more complex the flow of materials from the initial design through purchase, the more likely it is that multiple channel partners may be involved, because each channel partner will bring unique expertise that increases the efficiency of the process. If an intermediary is not adding value, they will likely be removed over time, because the cost of managing and coordinating with each intermediary is significant. While we are probably most familiar with the retail channel, wholesalers play an important role as intermediaries. Intermediaries act as a link in the distribution process, but the roles they fill are broader than simply connecting the different channel partners. Wholesalers, often called “merchant wholesalers,” help move goods between producers and retailers. "McLane Foodservice and wholly owned subsidiary, Meadowbrook Meat Company, Inc., operates 80 distribution centers across the U.S. and one of the nation’s largest private fleets. The company buys, sells, and delivers more than 50,000 different consumer products to nearly 90,000 locations across the U.S. In addition, McLane provides alcoholic beverage distribution through its wholly owned subsidiary, Empire Distributors, Inc. McLane is a wholly owned unit of Berkshire Hathaway Inc. and employs more than 20,000 teammates." Let’s look at each of the functions that a merchant wholesaler fulfills. Wholesalers purchase very large quantities of goods directly from producers or from other wholesalers. By purchasing large quantities or volumes, wholesalers are able to secure significantly lower prices. 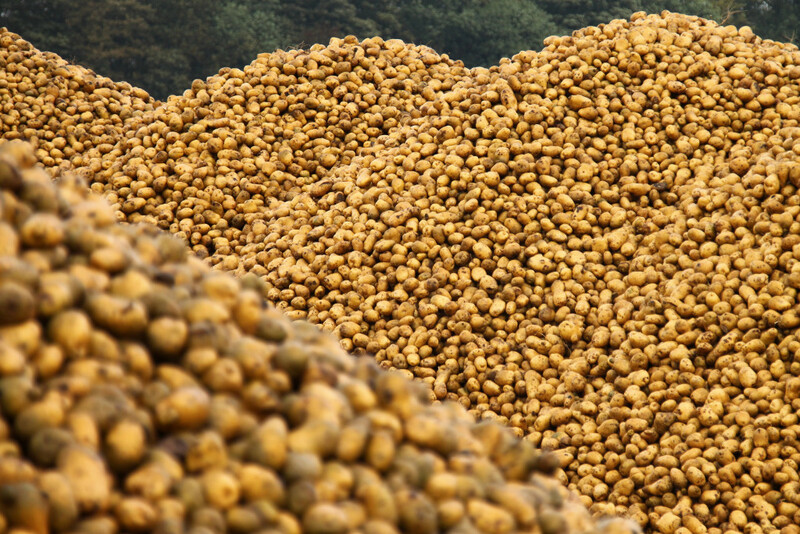 Imagine a situation in which a farmer grows a very large crop of potatoes. If he sells all of the potatoes to a single wholesaler, he will negotiate one price and make one sale. Because this is an efficient process that allows him to focus on farming (rather than searching for additional buyers), he will likely be willing to negotiate a lower price. Even more important, because the wholesaler has such strong buying power, the wholesaler is able to force a lower price on every farmer who is selling potatoes. The same is true for almost all mass-produced goods. When a producer creates a large quantity of goods, it is most efficient to sell all of them to one wholesaler, rather than negotiating prices and making sales with many retailers or an even larger number of consumers. Also, the bigger the wholesaler is, the more likely it will have significant power to set attractive prices. Once the wholesaler has purchased a mass quantity of goods, it needs to get them to a place where they can be purchased by consumers. This is a complex and expensive process. McLane Company operates eighty distribution centers around the country. Its distribution center in Northfield, Missouri, is 560,000 square feet big and is outfitted with a state-of-the art inventory tracking system that allows it to manage the diverse products that move through the center. It relies on its own vast trucking fleet to handle the transportation. Wholesalers buy a very large quantity of goods and then break that quantity down into smaller lots. The process of breaking large quantities into smaller lots that will be resold is called bulk breaking. Often this includes physically sorting, grading, and assembling the goods. Returning to our potato example, the wholesaler would determine which potatoes are of a size and quality to sell individually and which are to be packaged for sale in five-pound bags. Wholesalers either take title to the goods they purchase, or they own the goods they purchase. There are two primary consequences of this, both of which are both very important to the distribution channel. First, it means that the wholesaler finances the purchase of the goods and carries the cost of the goods in inventory until they are sold. Because this is a tremendous expense, it drives wholesalers to be accurate and efficient in their purchasing, warehousing, and transportation processes. Second, wholesalers also bear the risk for the products until they are delivered. If goods are damaged in transport and cannot be sold, then the wholesaler is left with the goods and the cost. If there is a significant change in the value of the products between the time of the purchase from the producer and the sale to the retailer, the wholesaler will absorb that profit or loss. Often, the wholesaler will fill a role in the promotion of the products that it distributes. This might include creating displays for the wholesaler’s products and providing the display to retailers to increase sales. The wholesaler may advertise its products that are carried by many retailers. Wholesalers also influence which products the retailer offers. For example, McLane Company was a winner of the 2016 Convenience Store News Category Captains, in recognition for its innovations in providing the right products to its customers. McLane created unique packaging and products featuring movie themes, college football themes, and other special occasion branding that were designed to appeal to impulse buyers. They also shifted the transportation and delivery strategy to get the right products in front of consumers at the time they were most likely to buy. Its convenience store customers are seeing sales growth, as is the wholesaler. As distribution channels have evolved, some retailers, such as Walmart and Target, have grown so large that they have taken over aspects of the wholesale function. Still, it is unlikely that wholesalers will ever go away. Most retailers rely on wholesalers to fulfill the functions that we have discussed, and they simply do not have the capability or expertise to manage the full distribution process. Plus, many of the functions that wholesalers fill are performed most efficiently at scale. Wholesalers are able to focus on creating efficiencies for their retail channel partners that are very difficult to replicate on a small scale. Retailing involves all activities required to market consumer goods and services to ultimate consumers who are purchasing for individual or family needs. By definition, B2B purchases are not included in the retail channel since they are not made for individual or family needs. In practice this can be confusing because many retail outlets do serve both consumers and business customers—like Home Depot, which has a Pro Xtra program for selling directly to builders and contractors. Generally, retailers that have a significant B2B or wholesale business report those numbers separately in their financial statements, acknowledging that they are separate lines of business within the same company. Those with a pure retail emphasis do not seek to exclude business purchasers. They simply focus their offering to appeal to individual consumers, knowing that some businesses may also choose to purchase from them. We typically think of a store when we think of a retail sale, even though retail sales occur in other places and settings. For instance, they can be made by a Pampered Chef salesperson in someone’s home. 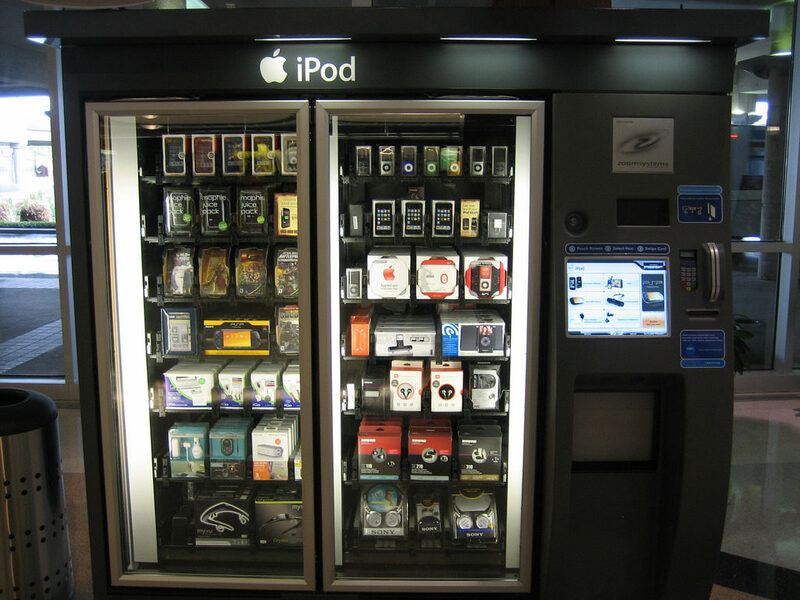 Retail sales also happen online, through catalogs, by automatic vending machines, and in hotels and restaurants. Nonetheless, despite tremendous growth in both nontraditional retail outlets and online sales, most retail sales still take place in brick-and-mortar stores. Beyond the distinctions in the products they provide, there are structural differences among retailers that influence their strategies and results. One of the reasons the retail industry is so large and powerful is its diversity. For example, stores vary in size, in the kinds of services that are provided, in the assortment of merchandise they carry, and in their ownership and management structures. Department stores are characterized by their very wide product mixes. That is, they carry many different types of merchandise, which may include hardware, clothing, and appliances. Each type of merchandise is typically displayed in a different section or department within the store. The depth of the product mix depends on the store, but department stores’ primary distinction is the ability to provide a wide range of products within a single store. For example, people shopping at Macy’s can buy clothing for a woman, a man, and children, as well as house wares such as dishes and luggage. 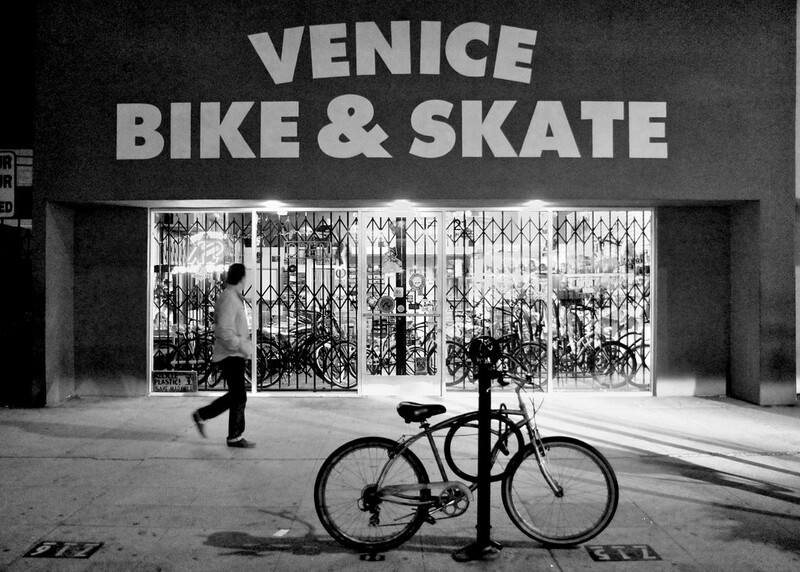 The 1920s saw the evolution of the chain store movement. Because chains were so large, they were able to buy a wide variety of merchandise in large quantity discounts. The discounts substantially lowered their cost compared to costs of single unit retailers. As a result, they could set retail prices that were lower than those of their small competitors and thereby increase their share of the market. Furthermore, chains were able to attract many customers because of their convenient locations, made possible by their financial resources and expertise in selecting locations. Supermarkets evolved in the 192os and 1930s. 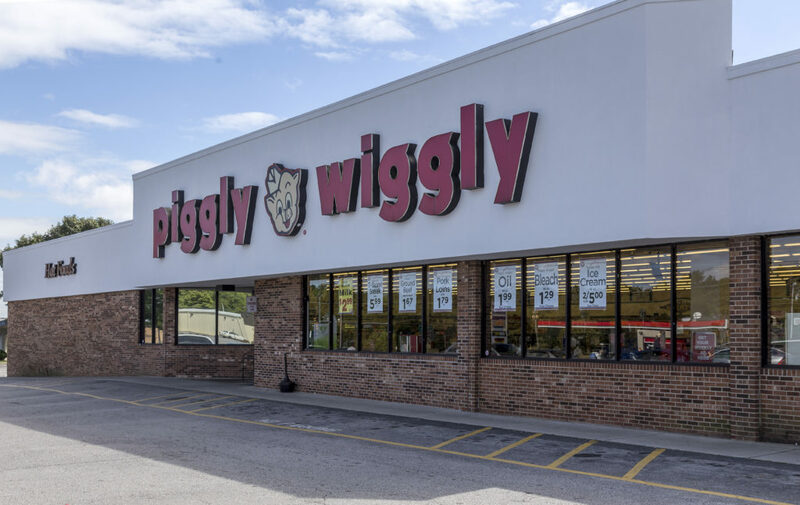 For example, Piggly Wiggly Food Stores, founded by Clarence Saunders around 1920, introduced self-service and customer checkout counters. Supermarkets are large, self-service stores with central checkout facilities. They carry an extensive line of food items and often nonfood products. There are 37,459 supermarkets operating in the United States, and the average store now carries nearly 44,000 products in roughly 46,500 square feet of space. The average customer visits a store just under twice a week, spending just over $30 per trip. Supermarkets’ entire approach to the distribution of food and household cleaning and maintenance products is to offer large assortments these goods at each store at a minimal price. Discount retailers, like Ross Dress for Less and Grocery Outlet, are characterized by a focus on price as their main sales appeal. Merchandise assortments are generally broad and include both hard and soft goods, but assortments are typically limited to the most popular items, colors, and sizes. Traditional stores are usually large, self-service operations with long hours, free parking, and relatively simple fixtures. Online retailers such as Overstock.com have aggregated products and offered them at deep discounts. Generally, customers sacrifice having a reliable assortment of products to receive deep discounts on the available products. Warehouse retailers provide a bare-bones shopping experience at very low prices. Costco is the dominant warehouse retailer, with $79.7 billion in sales in 2014. Warehouse retailers streamline all operational aspects of their business and pass on the efficiency savings to customers. Costco generally uses a cost-plus pricing structure and provides goods in wholesale quantities. The franchise approach brings together national chains and local ownership. An owner purchases a franchise which gives her the right to use the firm’s business model and brand for a set period of time. Often, the franchise agreement includes well-defined guidance for the owner, training, and on-going support. The owner, or franchisee, builds and manages the local business. Entrepreneur magazine posts a list each year of the 500 top franchises according to an evaluation of financial strength and stability, growth rate, and size. The 2016 list is led by Jimmy John’s gourmet sandwiches, Hampton by Hilton midprice hotels, Supercuts hair salon, Servpro insurance/disaster restoration and cleaning, and Subway restaurants. Malls and shopping centers are successful because they provide customers with a wide assortment of products across many stores. If you want to buy a suit or a dress, a mall provides many alternatives in one location. 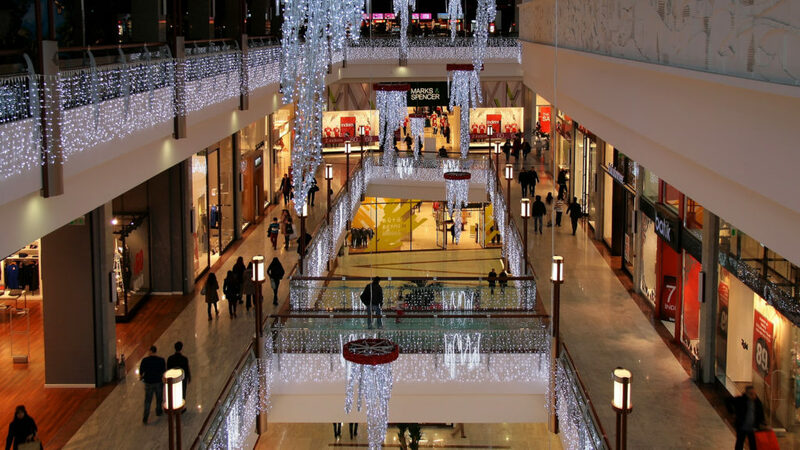 Malls are larger centers that typically have one or more department stores as major tenants. Strip malls are a common string of stores along major traffic routes, while isolated locations are freestanding sites not necessarily in heavy traffic areas. Stores in isolated locations must use promotion or some other aspect of their marketing mix to attract shoppers. Online retailing is unquestionably a dominant force in the retail industry, but today it accounts for only a small percentage of total retail sales. Companies like Amazon and Geico complete all or most of their sales online. Many other online sales result from online sales from traditional retailers, such as purchases made at Nordstrom.com. Online marketing plays a significant role in preparing the buyers who shop in stores. In a similar integrated approach, catalogs that are mailed to customers’ homes drive online orders. In a survey on its Web site, Land’s End found that 75 percent of customers who were making purchases had reviewed the catalog first. Catalogs have long been used as a marketing device to drive phone and in-store sales. 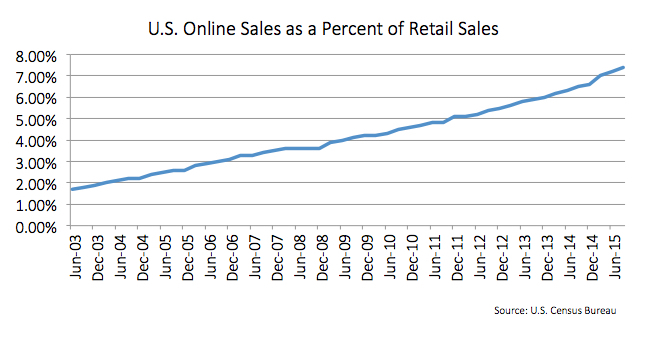 As online retailing began to grow, it had a significant impact on catalog sales. Many retailers who depended on catalog sales—Sears, Land’s End, and J.C. Penney, to name a few—suffered as online retailers and online sales from traditional retailers pulled convenience shoppers away from catalog sales. Catalog mailings peaked in 2009 and saw a significant decrease through 2012. In 2013, there was a small increase in catalog mailings. Industry experts note that catalogs are changing, as is their role in the retail marketing process. Despite significant declines, U.S. households still receive 11.9 billion catalogs each year. Beyond those mentioned in the categories above, there’s a wide range of traditional and innovative retailing approaches. Although the Avon lady largely disappeared at the end of the last century, there are still in-home sales from Arbonne facial products, cabi women’s clothing, WineShop at Home, and others. Many of these models are based on the idea of a woman using her personal network to sell products to her friends and their friends, often in a party setting. Vending machines and point-of-sale kiosks have long been a popular retail device. Today they are becoming more targeted, such as companies selling easily forgotten items—such as small electronics devices and makeup items—to travelers in airports. Each of these retailing approaches can be customized to meet the needs of the target buyer or combined to span a range of needs. We have discussed the channel partners, the roles they fill, and the structures they create. Marketers have long recognized the importance of managing distribution channel partners. As channels have become more complex and the flow of business has become more global, organizations have recognized that they need to manage more than just the channel partners. They need to manage the full chain of organizations and transactions from raw materials through final delivery to the customer—in other words, the supply chain. The supply chain is a system of organizations, people, activities, information, and resources involved in moving a product or service from supplier to customer. Supply chain activities involve the transformation of natural resources, raw materials, and components into a finished product that is delivered to the end customer. The marketing channel generally focuses on how to increase value to the customer by having the right product in the right place at the right price at the moment the customer wants to buy. The emphasis is on the providing value to the customer, and the marketing objectives usually focus on what is needed to deliver that value. "Supply chain management encompasses the planning and management of all activities involved in sourcing and procurement, conversion, and all logistics management activities. Importantly, it also includes coordination and collaboration with channel partners, which can be suppliers, intermediaries, third-party service providers, and customers." 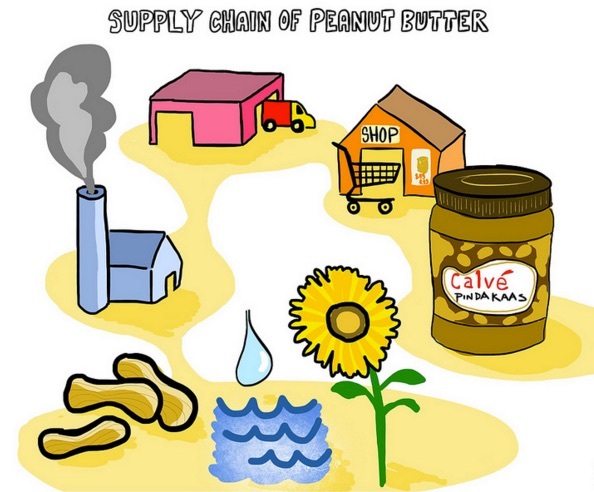 The supply chain is broader than marketing channels. It begins with raw materials and delves deeply into production processes and inventory management. Marketing channels are focused on bringing together the partners who can most efficiently deliver the right marketing mix to the customer in order to maximize value. Marketing channels provide a more narrow focus within the supply chain. Marketing channels are purely customer facing. Supply chain management seeks to optimize how products are supplied, which adds a number of financial and efficiency objectives that are more internally focused. Marketing channels emphasize a stronger market view of the customer expectations and competitive dynamics in the marketplace. Marketing channels are part of the marketing mix. Supply chain professionals are specialists in the delivery of goods. Marketers view distribution as one element of the marketing mix, in conjunction with product, price, and promotion. Supply chain management is more likely to identify the most efficient delivery partner. A marketer is more likely to balance the merits of a channel partner against the value offered to the customer. For instance, it might make sense to keep a channel partner who is less efficient but provides important benefit in the promotional strategy. Successful organizations develop effective, respectful partnerships between the marketing and supply chain teams. When the supply chain team understands the market dynamics and the points of flexibility in product and pricing, they are better able to optimize the distribution process. When marketing has the benefit of effective supply chain management—which is analyzing and optimizing distribution within and beyond the marketing channels—greater value is delivered to customers.